Exceptional glide from a hull based on the world champion All Star design. The added rail volume provides a unique balance and floatation to carry gear and supplies. 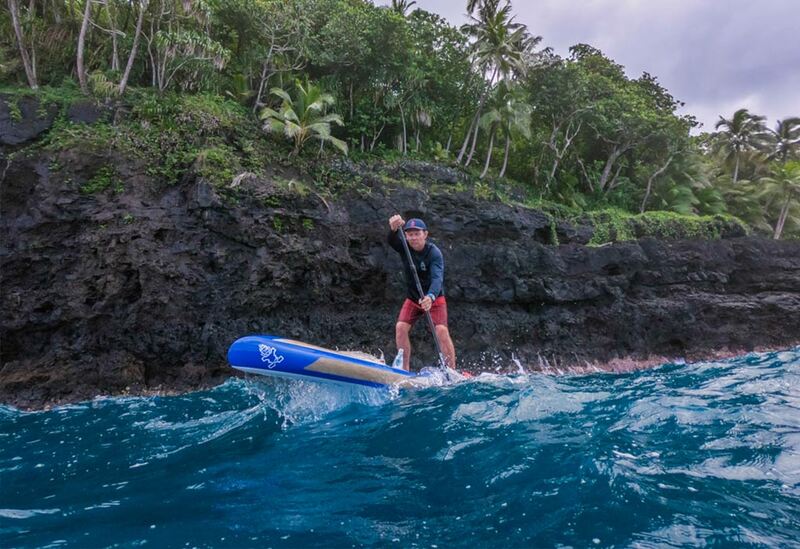 The board pops up nicely on downwind runs, providing great glide. 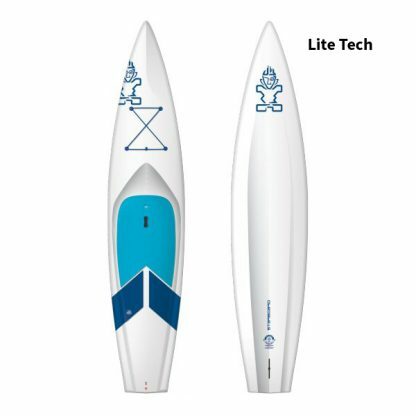 Suited for all skill levels that want the fastest glide to paddle distances quickly with comfortable stability and the option to carry gear along the journey. 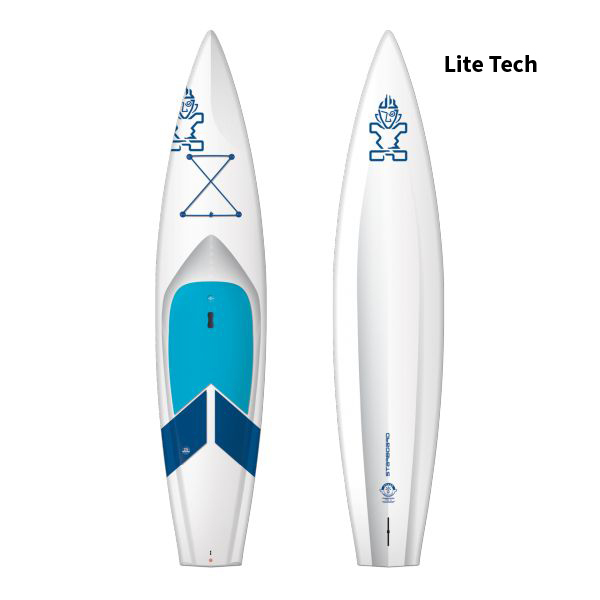 – Creates a flatter center rocker for extended glide & propels the water from nose to tail creating lift and speed. 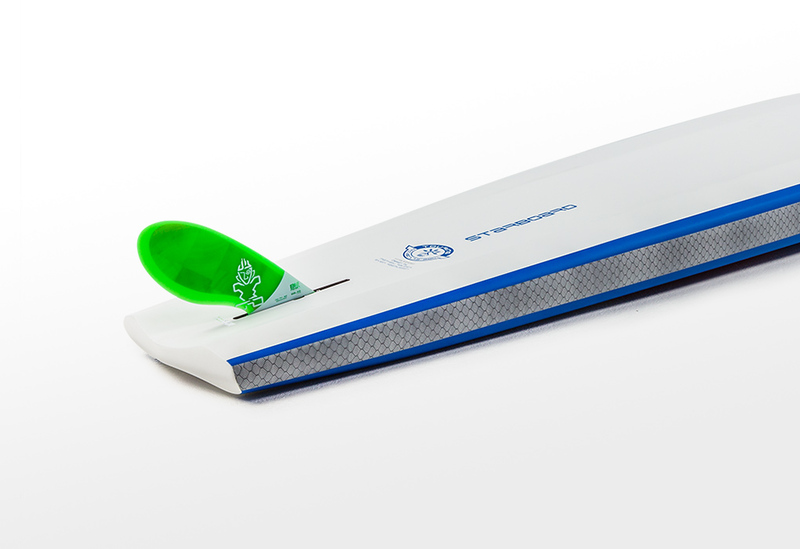 – Narrower and straighter channel improves tracking and delivers a smoother glide. 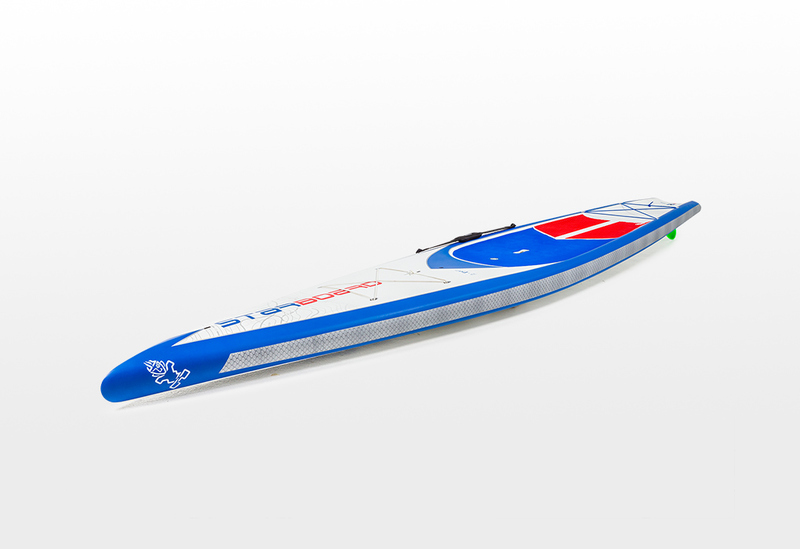 Extends the waterline for a smoother and faster glide, optimised for flat-water cruising. – Creates smoother glide and adds stability. 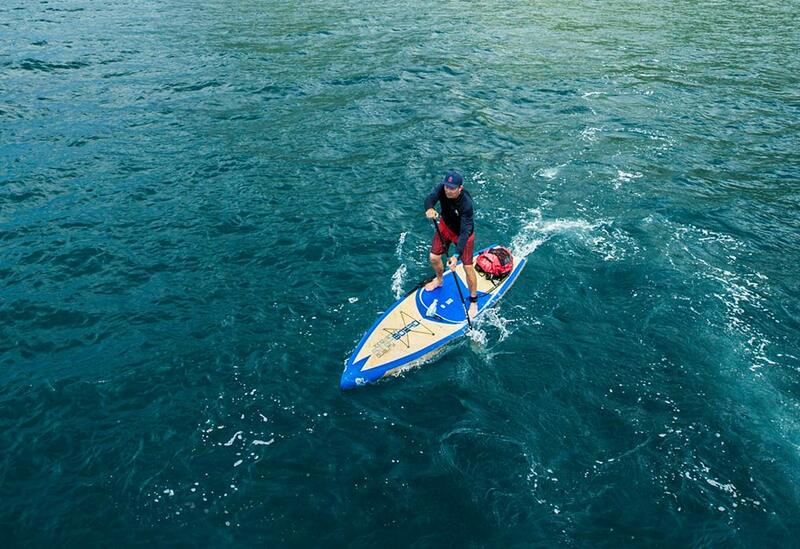 – Feel more controlled and less twitchy when switching between strokes. 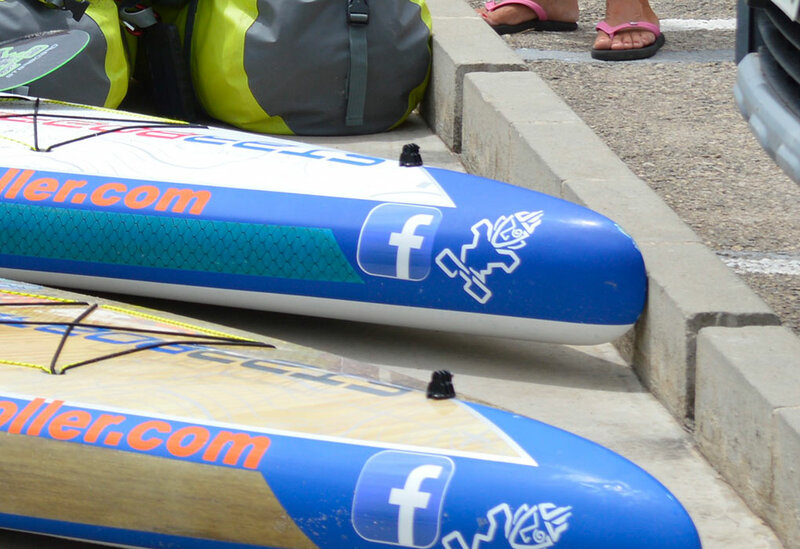 with more vertical apex optimizes the full outline width of the board for greater stability and reduces rolling. Slight tray helps wedge feet further out to the rail to hold a wider stance for additional support. Recessed deck pad lowers centre of gravity for improved stability and comfort. – For storing a water bottle, small essentials and looking at the view below. Removable cap restricts water entering and can be secured by the leash plug when not in use. 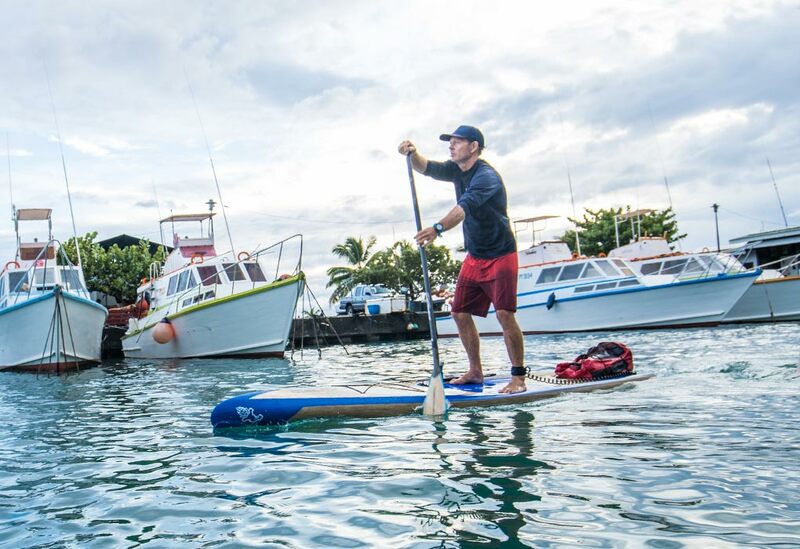 on nose and tail for storing gear and supplies so you can stay out on the water for longer. 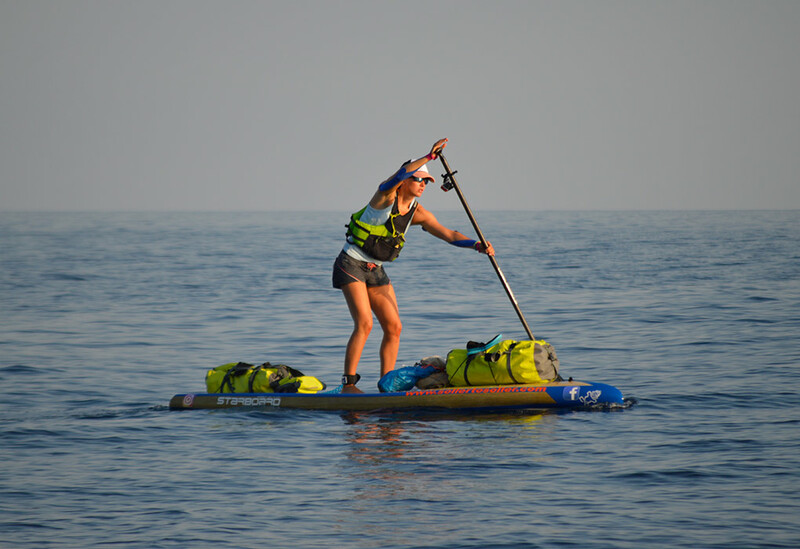 Essential for expedition and long distance paddles. 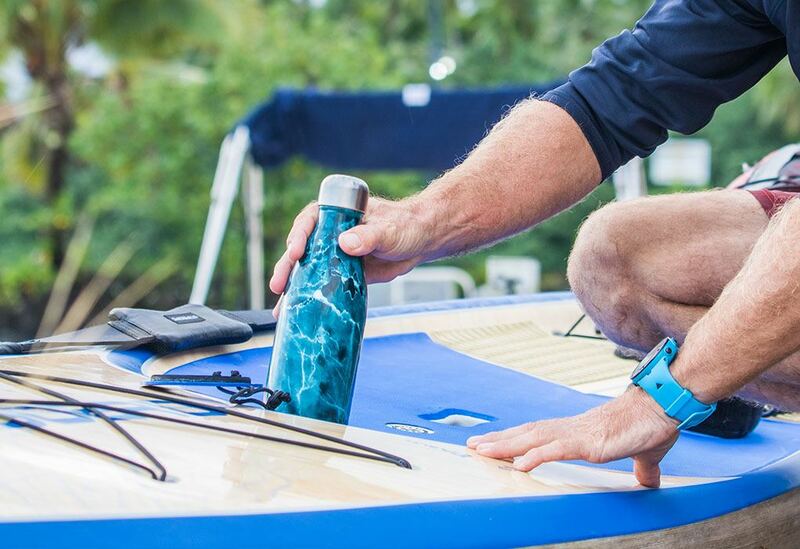 – Uni-directional flax fibre wraps the entire rails for stiffness and improved hull strength against total breakage. – Flax, a natural fibre sourced from Europe, as outperformed certain carbon fibres in stiffness and strength. – Flax reduces 90% energy consumption used to produce it compared to fibre glass. – 2 x FCS inserts in front of the standing area and on the tip of the nose for mounting accessories. – STAR Mount supplied with board to attach accessories including GoPro cameras, mobile phones, navigation. 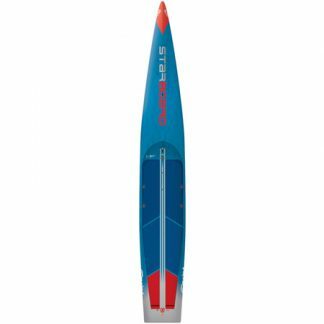 – Single centre fin positioned far back to the tail for straight line tracking. – Supplied with Dolphin 22″ for enhanced tracking and added stability. 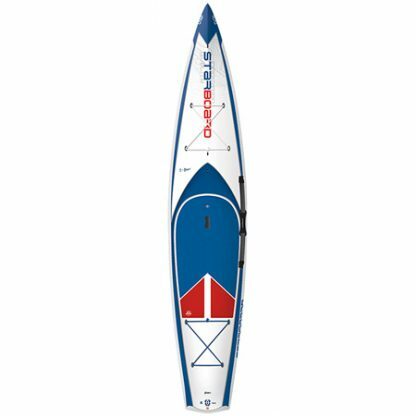 – Full Australian pine wood deck on the entire deck for extra impact resistance, rigidity and improved overall hull integrity. 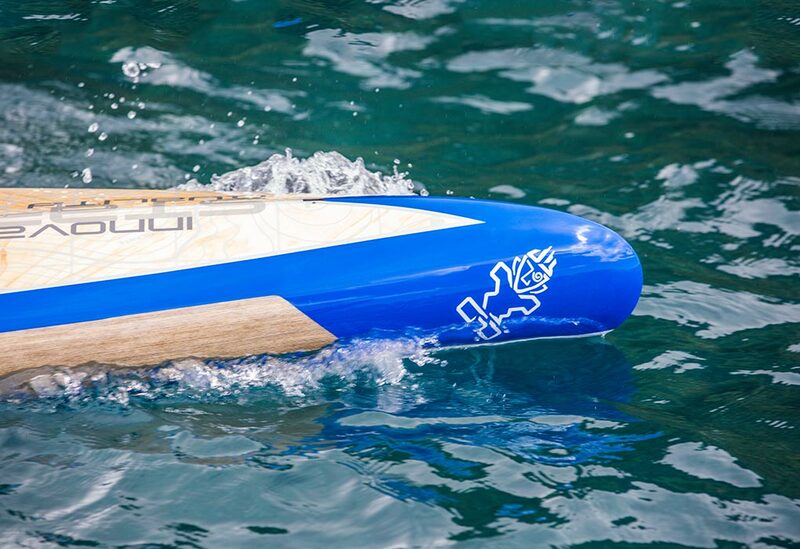 – Natural uni-directional flax fiber wraps the entire rails for maximum hull strength against total breakage. – Uni-directional carbon rail stringers for added strength against failure. 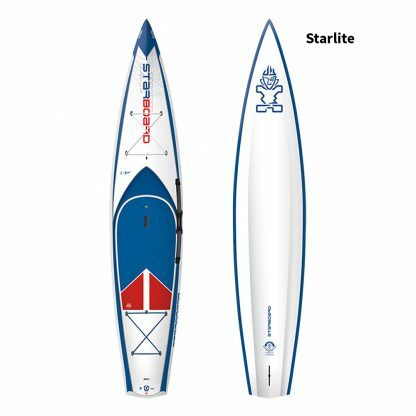 Constructed like Starlite technology but comes in Paddle For Hope graphic inspired by Karin Horen. 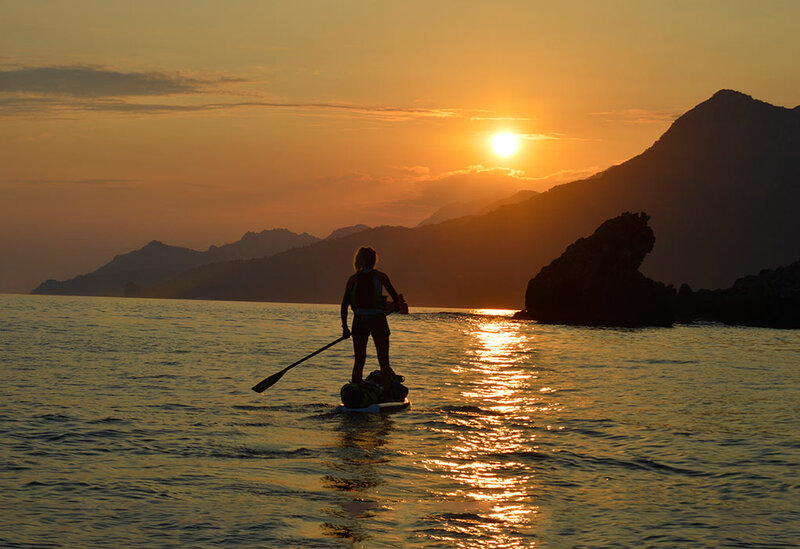 Karin uses this board as a part of SUP rehabilitation program for people recovering from cancer. 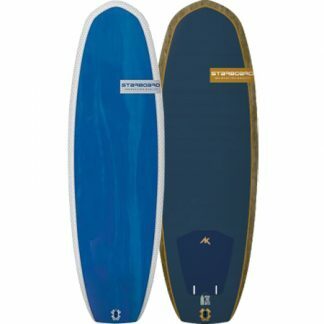 This board has the longest length with the fastest glide and best tracking for riders up to 120 kg. This is the most stable and widest design for heavier riders up to 110 kg. 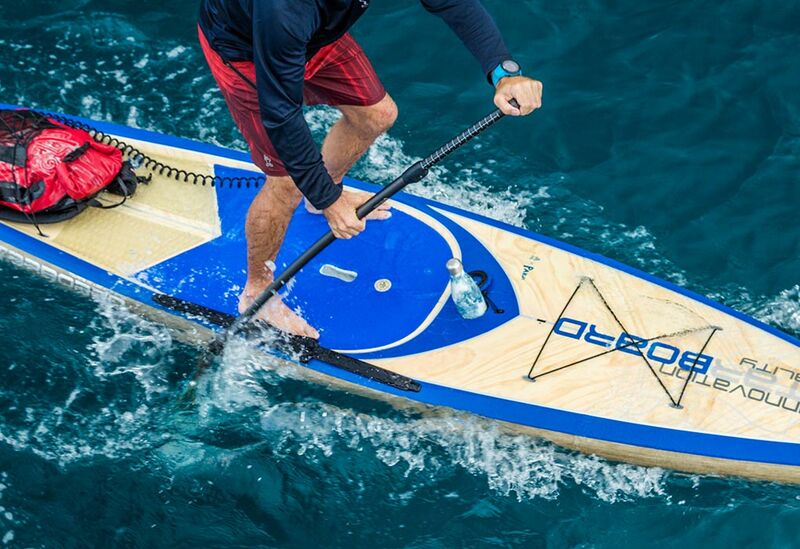 The board balances speed and stability offering the most efficient glide for riders up to 100 kg. 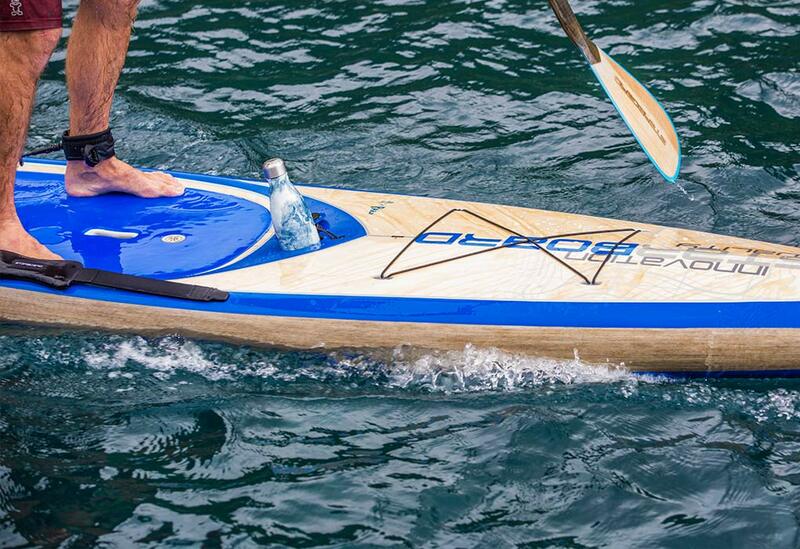 This board covers distance quickly and offers added maneuverability for lighter riders up to 90 kg. 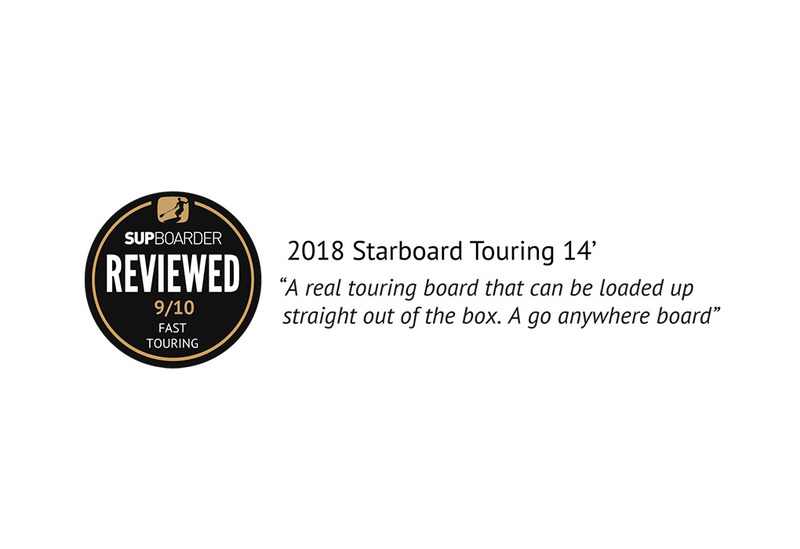 In this SUPboarder review we look at the mother of all hard (composite) touring boards – The Starboard Touring 14′. 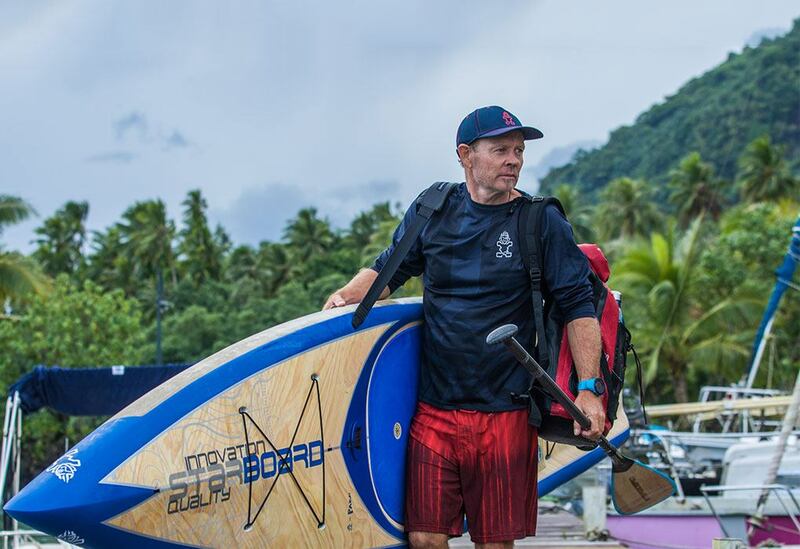 It’s a long touring board offering a massive amount of glide and space, allowing you to carry plenty of gear to last you a while off the beaten track. 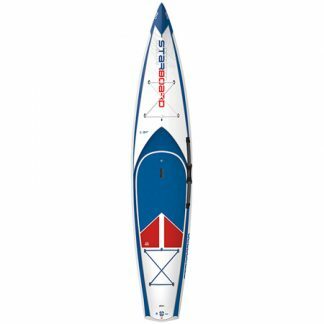 And as well as touring this board could be a great 14 foot racer at the weekends too!